RuthLily Writes : REVIEW! : Books I read in February: The Miniaturist, Burial Rites, Life After Life. REVIEW! : Books I read in February: The Miniaturist, Burial Rites, Life After Life. What ho! I've only gone and read some more books. February turned into some kind of historical fiction month starting off in 17th Century Amsterdam, visiting Iceland in 1829, before ending up in snowy England in 1910 through the wars and out the other side. What's more they were all BOOKS FOR ADULTS. And all written by women! Ideal. Jessie Burton's story begins in 1686, with young bride Nella arriving in Amsterdam at her new husbands townhouse. He's a busy, thriving merchant type, and also pretty old, and doesn't give Nella much attention, apart from in his gift of a cabinet dolls house replica of their home. 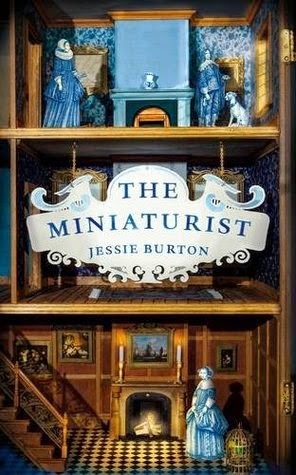 Nella orders a few items for the cabinet from a miniaturist found in the city's business listings and soon receives some startlingly accurate dolls and pieces of furniture. Events that follow seem to be connected to these mysterious miniatures and all is soon not as it seems. I really enjoyed reading this on dark February evenings. What was maybe most interesting for me was just how long ago 1686 was, and how Amsterdam was the centre of a massive trade empire. It wasn't until the 1800s that Glasgow, where I live, became an important merchant city. I went to the museum during the time I was reading this to learn some merchant trade history and everything! So as well as being fascinated about how old Amsterdam is, I also greatly enjoyed the dark winter city atmosphere, and the growing relationships between the characters, as Nella slowly learns more about their lives in both truth and gossip. I was left mostly confused at the end, with a lot of questions, but I think it was supposed to mysterious and I'm going to search out some other readers' theories online! 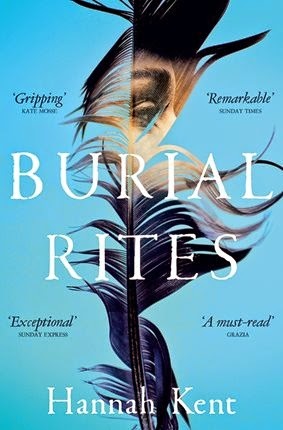 Hannah Kent's Burial Rites brings us up to 1829 in Iceland where Agnes Magnusdottir has been sentenced to death, along with another man and woman, for the murder of two men. She is taken to live on the farm of District Officer Jon Jonsson and his family to await her execution. She lives and works there for several months as the story takes place, with much of Agnes's story being told through her confidences with her appointed spiritual guardian, Assistant Reverend Toti. What struck me, reading Burial Rites so soon after The Miniaturist, was that although the book is set 143 years later than the story in Amsterdam, it just seems so much older. I guess this is probably owing to the rural setting, and also Iceland's history of being owned by other countries. Again what was really interesting for me was the history; the way of life on these small farms, travelling on foot for days, maids in even the poor farms, everyone sleeping in the same room. It helped humanise a lot of other historical sites I've seen, especially those of crofts and cleared villages in the highlands. The story was great, and its turns out, a true one, researched for 10 years by the author. The historical characters are very successfully rounded and I had become entirely invested in them by the end. Historical fiction sure is working on me! 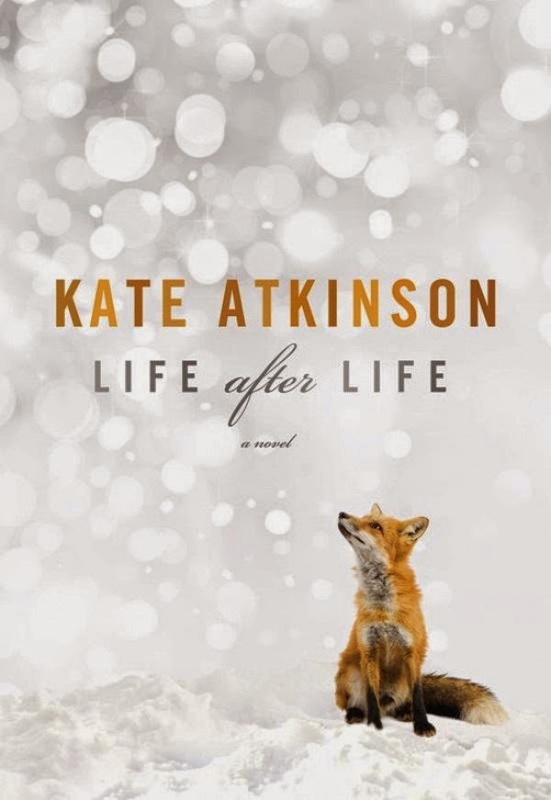 Beginning in 1910, Kate Atkinson's Life After Life is practically set yesterday as far as 'historical' goes. But I think it still counts in my historical fiction month because that's still ages ago. The book begins in England during a snowstorm in 1910, when Ursula Todd is born. She dies repeatedly, and lives again, but only ever with the smallest sense something has happened. She in fact goes to therapy for her Deja-vu. She lives and dies during two world wars. In some of her lives you're willing for her to die, in others you wish she could undo certain events, in others you're hoping this will be the one that sticks. Most of these things all end up happening. An exceptionally clever and witty book, with Ursula and her family playing out a series of 'what ifs'. I've had this waiting on my Kindle for ages, and I'm glad I finally read it. Seeing the same character grow and change in different ways was fascinating. It must feel quite self-indulgent for a writer getting to give your characters all these different lives. There was still plenty of historical intrigue for me, with maids and housekeepers, young marriages, secretarial college, bombs and wardens. But this time of course I have living relatives who were there for some it. Loads of great character names too, especially Ursula, Sylvie and Teddy. I'm currently reading Station Eleven, so I might just make March a post apocalypse month. Enjoying it so far! I have my eye on The Country of Ice Cream Star which is also post apocalypsey, so that might have to be the next one. Then I might try and find a non American dystopian to read, as I spend a considerable amount of time when I'm reading American-dystopias wondering what's happening in the rest of the world. Bannerizer makes it easy for you to promote ClickBank products by banners, simply visit Bannerizer, and grab the banner codes for your selected ClickBank products or use the Universal ClickBank Banner Rotator Tool to promote all of the ClickBank products.